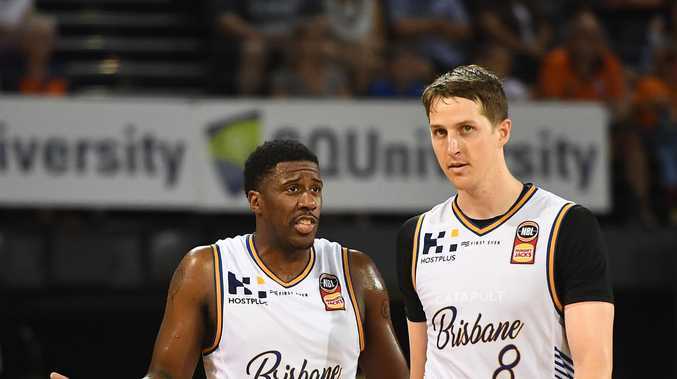 Brisbane star import Lamar Patterson insists the Bullets will not just be making up the numbers in the NBL finals. Patterson's heroics in the final minute of the 84-78 victory over New Zealand on Saturday night catapulted Brisbane into the semi-finals for the first time since 2008. The Bullets will meet minor premier Perth in the best-of-three series with the first game to held at the Wildcats' RAC Arena on February 28 with the second game back in Brisbane on March 2. If a third game is required, it will be played in Perth on March 4. Melbourne will play the Sydney Kings in the other semi-final series with second-placed United to have home court advantage. Perth secured top spot on the ladder despite the 81-70 overtime loss to the Chris Goulding-inspired Melbourne Sunday and now face a Bullets side that split the four-game regular season series with the Wildcats. Patterson's slicing drive to the bucket and stunning three-point dagger in the final minute against the Breakers helped the classy match-winner finish with 23 points, eight rebounds and four assists and handed Brisbane a timely confidence boost along with a play-off berth. "I feel like we are scary team. The past couple of weeks we've been down but getting that win, I feel like it brought our spirits up and gives us good momentum going into the finals,'' Patterson said. "Hopefully we can do some damage now. This is what we've been working for all season. "We knew what was at stake (against the Breakers) and we answered the call. We were right there mentally. Bullets coach Andrej Lemanis said Brisbane's experienced core of players and the club's record against the Melbourne and Perth gave him reason to be bullish. "We haven't beaten Sydney but other than them, we played the top four teams better than we played the teams outside the top four,'' he said. "We feel good going into the play-offs when your experience shows, we have every opportunity now and it's all about coming out and playing well. "The beauty of having that experience is you understand the highs and lows of it all … you stay focused and you stay in the moment.'" 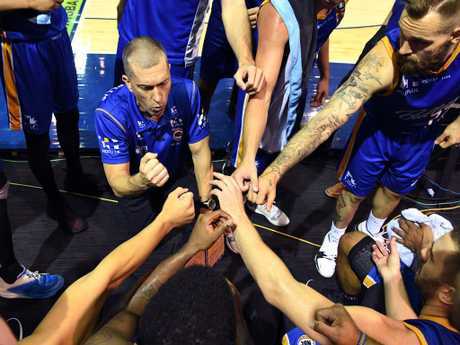 Vanquished New Zealand coach Kevin Braswell said the "sky's the limit" for Brisbane in the finals if they bring their best basketball. "They beat all of the top teams except for Sydney. They swept Melbourne in one weekend. This team can go as far as they want to go. They just have to make plays,'' he said. Bullets guard Cam Gliddon (back) is expected to be fit for the semi-finals.